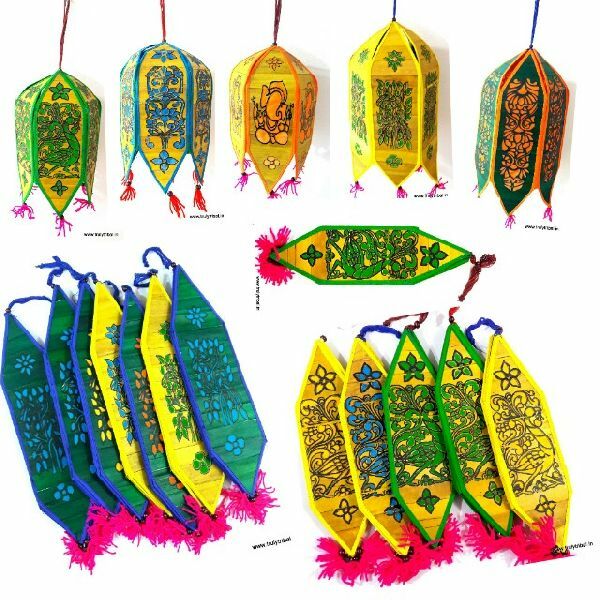 Palm leaf lamshade are an amazing amalgmation of two well knwen craft of Odisha - The Palm Leaf craft & The Pipli Craft- the Applique & patchwork craft. Artisans have done cut work on Palm leaf with beautiful desings and patched it up on the cloth in desired shape. These lamp shades are very light and can be folded & stored, when not in use. Prominenet themes includes Human figures, deities like ganpati, Jagnathji, and flora and fauna. 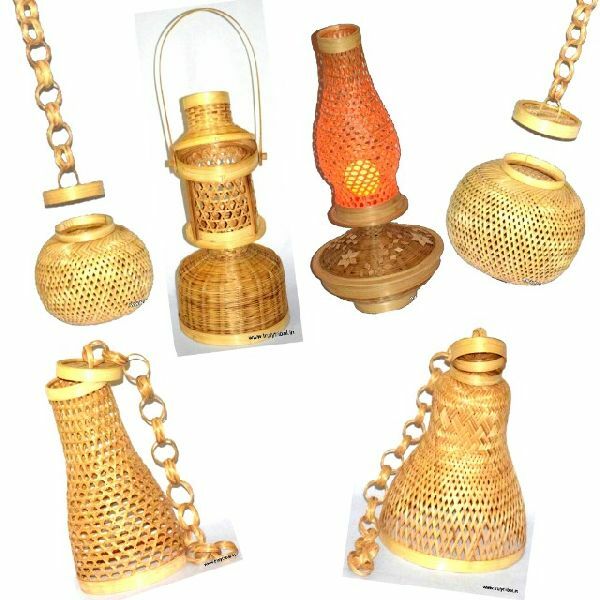 These Bamboo lamp shades from Jharkahnd are one of the highlight work of the Bamboo weaver from the loacal region. They have designed so many enw desingesin these bamboo lamshades. These all wether lamp shades are foolproof for any weather conditions and usage. The range includes Hanging lamp shades to tabl top ones to our old style "Petromax". 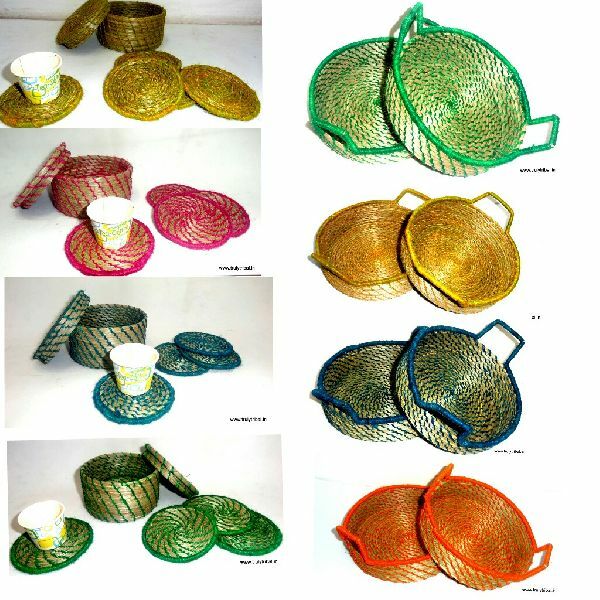 We also provide other bamboo product range like boxes and vase and so on. Feature Colourful Pattern, Compact Design, Eco Friendly, Recycled, Light Weight. The rich heritage of Orissa is bestowed with the craft of moulding paper into a range of products including patachitra styled masks locally known as Mukha. 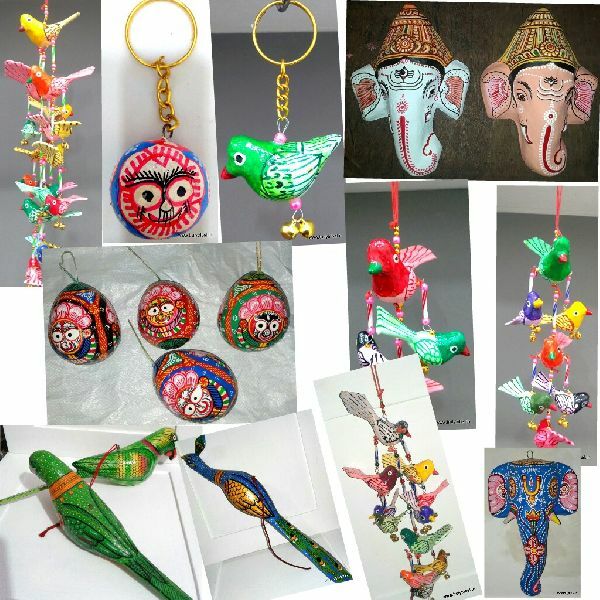 The skill has been creatively practised by the craftsmen all over Orissa particularly in and around Puri. These masks are not only strikingly beautiful but sturdy and durable as well. The usage of the grass, locally known bobei ghasa, was earlier confined mainly to rope-making. 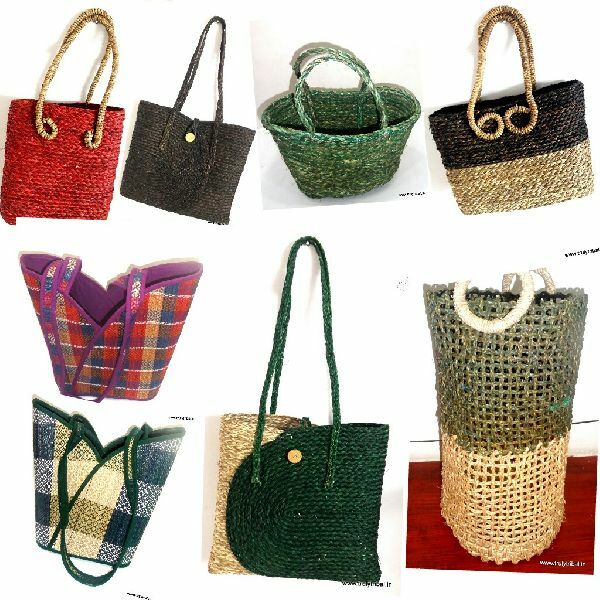 But now, its use has diversified into the process of making of various craft items after women workers, mostly belonging to tribal communities, were imparted special training for the purpose. With Inputs from NIDs , there are whole new range of products suitable for modern and urban lifstyle. From Boxes to baskets to bins to Bags. Product range is limited only with imaginations. Sabai grass is one of the natural fibers plenty available in the forests of Mayurbhanja district in Orissa. The tribal people called it as “Bobei Dauda or Bobei Ghasa” locally. The One of the most sought after product is the range if coasters and trays. these eco friendly range suits for corporate as well as social gifting range. 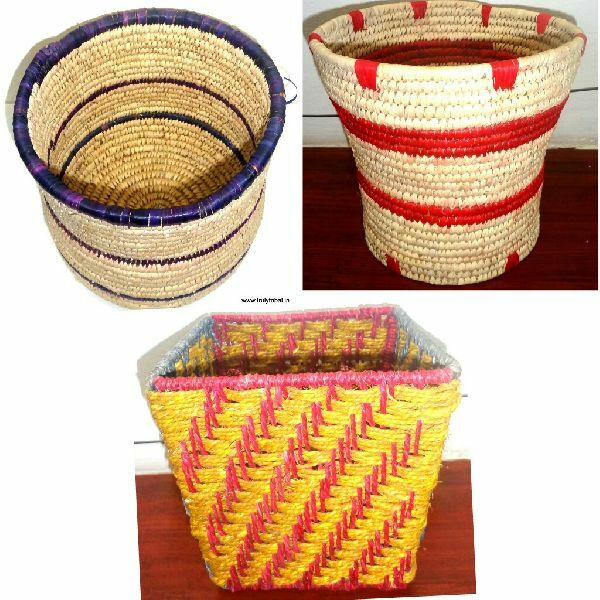 The natural fibers with coloured dies give different dimension to these products and can fit into contemprory to traditional decor.